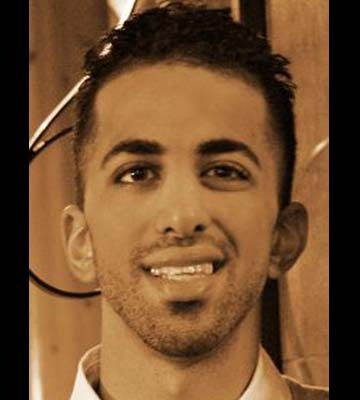 CLEVELAND - Cleveland resident Mohammad Hamad, 24, knows what it takes to succeed. He recently graduated from Cuyahoga Community College (Tri-C®) with both an Associate of Liberal Arts and Associate of Science. While attending Tri-C, Hamad was a member of Phi Theta Kappa (PTK), the official honor society for community colleges by the American Association of Community Colleges and a Robert L. Lewis Academy Scholar. As a member of PTK, Hamad took advantage of the option to participate in the society’s Five Star Competitive Edge. The program is a self-paced, professional development plan designed to strengthen the participants’ marketable skills. Through Competitive Edge “you gain ideas and perspectives about how to improve yourself in both the academic and professional world,” said Hamad. Hamad was the first Tri-C student to complete all five levels of the program. “Competitive Edge has helped me become more cognizant of my strengths and weaknesses,” he added. Hamad praises his association with the Robert L. Lewis Academy of Scholars. The experience is designed for ambitious students with a passion for social justice, who would like to make a difference in their communities and the world. “This was an experience I always wanted to participate in,” Hamad explained, “the idea of "experiential learning" is one I am very supportive of and privileged to have been a part of.” From taking the class, Philosophy of Social Justice in fall 2011, Hamad created a project that shed light on poverty in Cleveland and “the rigor associated with finding an effective model for combating the social issues urban communities face.” He interviewed families who lived near the Metropolitan Campus and subsequently presented his research and findings at the College Honors Symposium this past spring. Hamad’s present and past employment reflect the social justice theme to which he is drawn. He just landed a job at the Ivy Street School, a Boston-based private residential and day school that provides educational treatment to adolescents with brain injuries and other neurological difficulties. Prior to that, he worked with the local Helen Keller International ChildSight® program, where he helped provide free vision screening and education to students in the Cleveland Metropolitan School District. While attending John Marshall High School Science Internship Program, Hamad volunteered at the Cleveland Clinic. This fall, Hamad will be attending Harvard University to pursue a Bachelor of Liberal Arts degree, concentrating on sociology and urban planning and development, particularly in the study of water. “When I was growing up, I consumed very little water because I considered it flavorless, so my parents were always concerned. Now I realize not only how important water is, but the concern involving its scarcity,” he said. Ultimately, his goal is to earn an advanced degree in public health in order to contribute to urban communities in the United States and abroad. Welcome to Cuyahoga Community College's online knowledge base of frequently asked questions and answers.